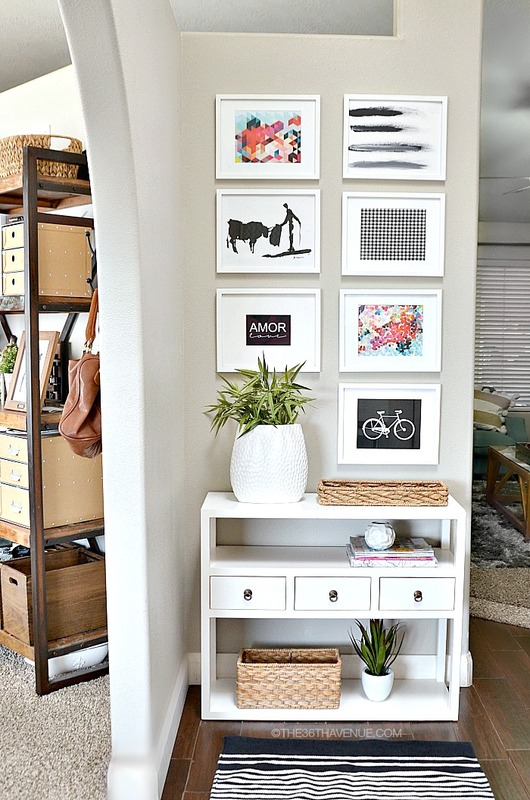 These Entryway Decor Ideas are easy to create and surely will give any home a fresh and clean look. Home Decor is my favorite thing to work on. 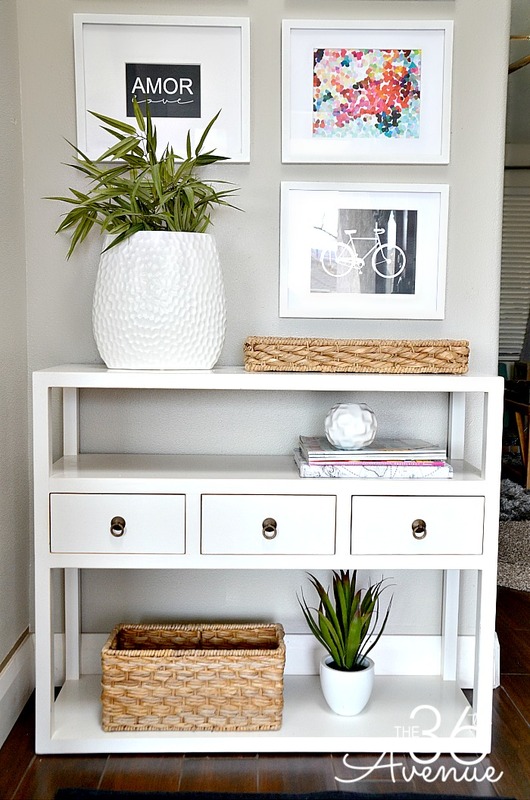 Today I’m sharing simple tips that will help you to reinvent your home design and welcome friends and family into your house with a unique and inviting entryway! Ready to see? The challenge with our entryway is that you can see two other rooms right when you open the door. To bring all three spaces together I used bold prints and black and white accessories to add texture and dimension to our entrance! 1. Create your own: I used a paint brush and acrylic paint to create the top right canvas! 2. 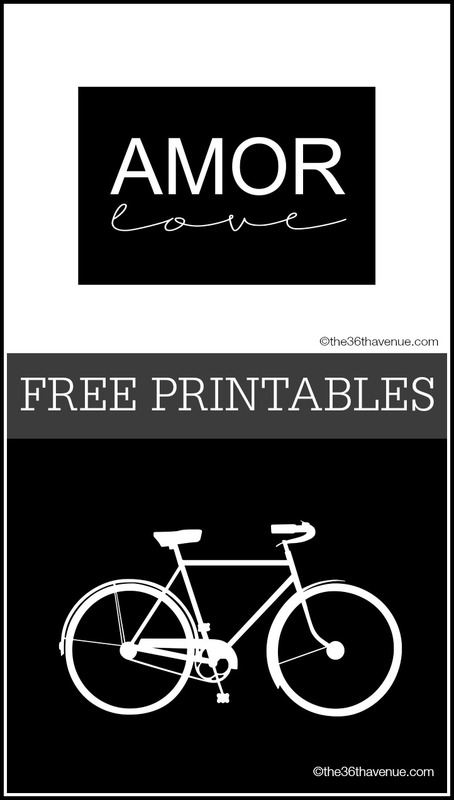 Use free printables: I designed the AMOR and Bicycle Prints. You can download them for free at the end of this post! 3. Use fabric: The plaid black and white print is actually a piece of fabric scrap that I had from a previous project. 4. Use Pictures: Print some of those hundreds of shots that you have on your phone and camera! If you still have room and some extra money pick one or two prints from your favorite artists! 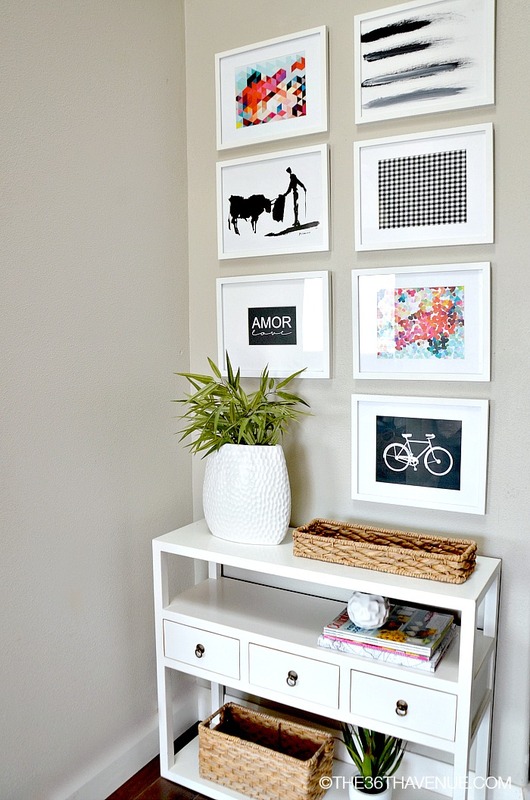 I wanted our entryway to be simple, modern, fresh, and have a pop of color. 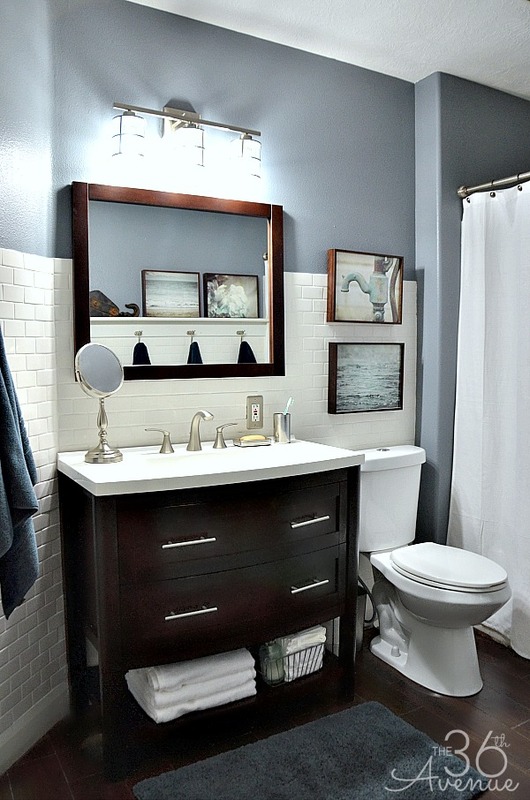 When you have a small entryway, it is important to keep the space as clutter free as possible. 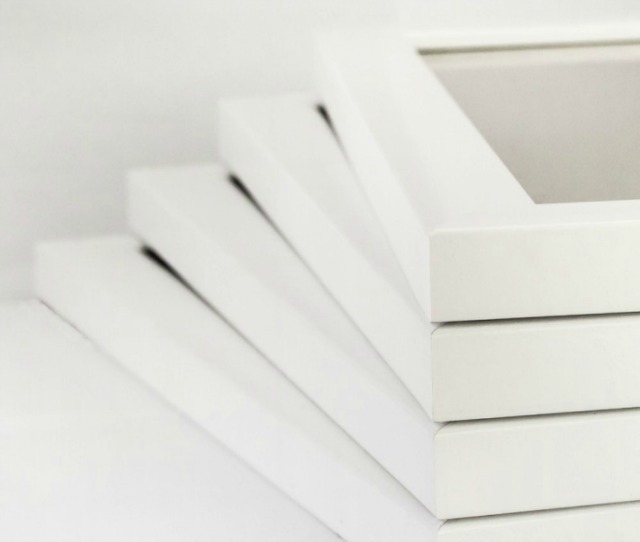 I chose pure white frames and a console table with very straight lines, this gave me a clean canvas to work with. 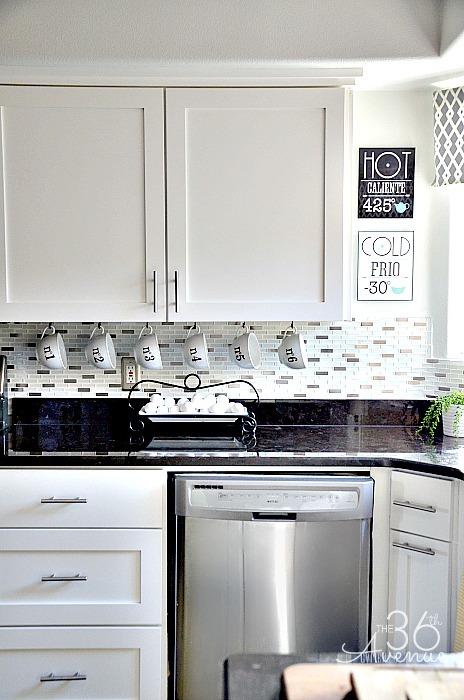 Instead of using bulky furniture I chose bold white and black prints and other ones with really colorful geometric patterns. If you look at each print individually you will notice that they don’t match. There is not a common theme, BUT they complement each other. When you look at all of them as a group they look… happily perfect! They key is color and proportions… If you are afraid of color, don’t panic. Click HERE to understand how to use the color wheel. This post will change the way you see color! I love decorating with natural elements. Baskets, greenery, natural linens, and wood brings so much warmth to a space! I have to admit though that I can’t keep a plant alive. I promise you… I can’t. I have tried. I can’t. If I had a moment of silence for every poor plant that has died under my care you would never hear my voice again! If you are like me and you feel like you need to use fake plants make sure to get high quality ones that look real. 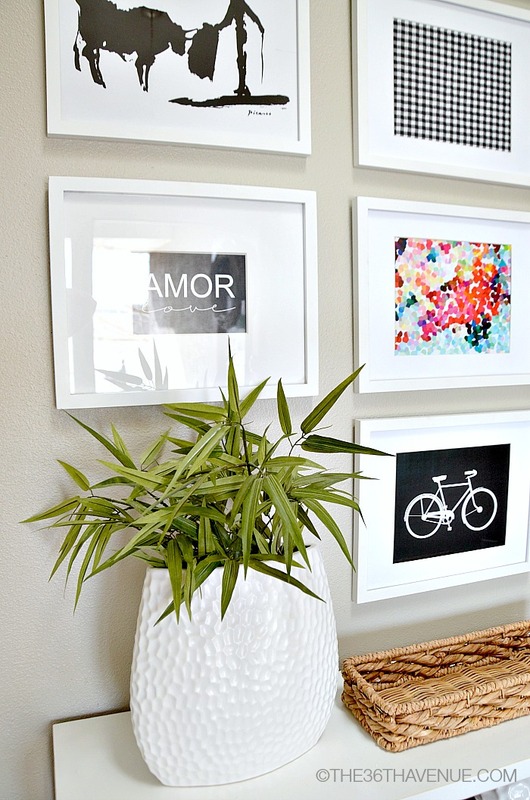 The only thing worse than a dead plant is a cheap looking fake plant! There is hope for us however, there are so many-fantastic-real-looking-fake-plants out there! 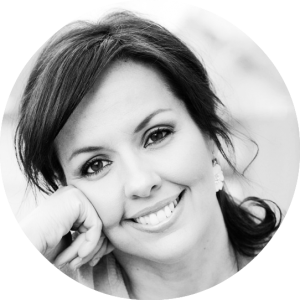 The most important thing is that your house should be more than that… It should be your home. No matter how small or how big it is; an apartment, a studio, a room, or a house… your space should be your kingdom. Click below to find these items! 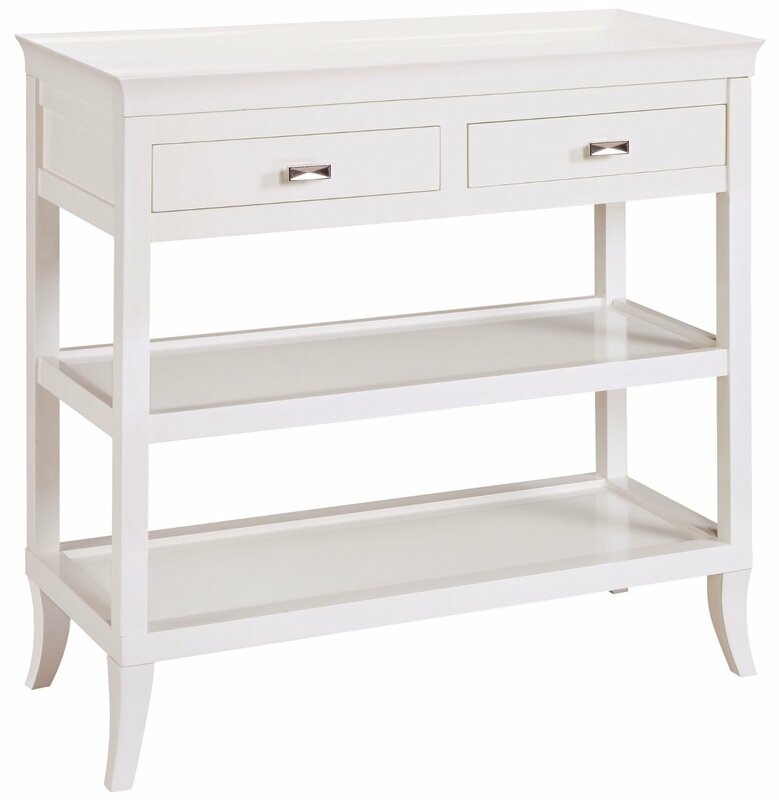 I found my White Console Table over at Joss & Main. 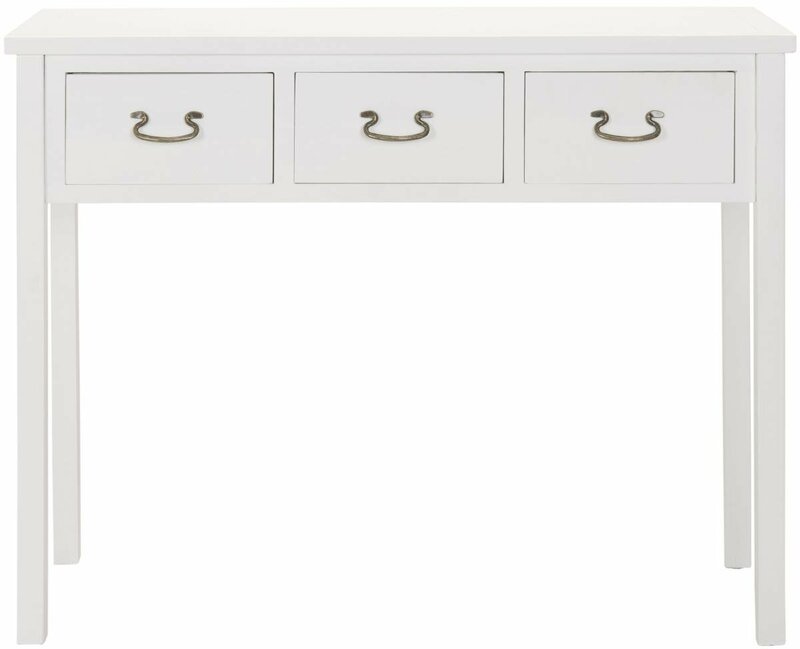 For more Console Tables in different colors, sizes, and shapes click HERE. You can find the two colorful prints HERE and below are my Free Printables. All printables and downloads designed by The 36th Avenue are for PERSONAL USE ONLY. Please do not alter the file or claim it as your own. This file is not intended for resale, nor are the printed versions of this file. To download click on the arrow below! 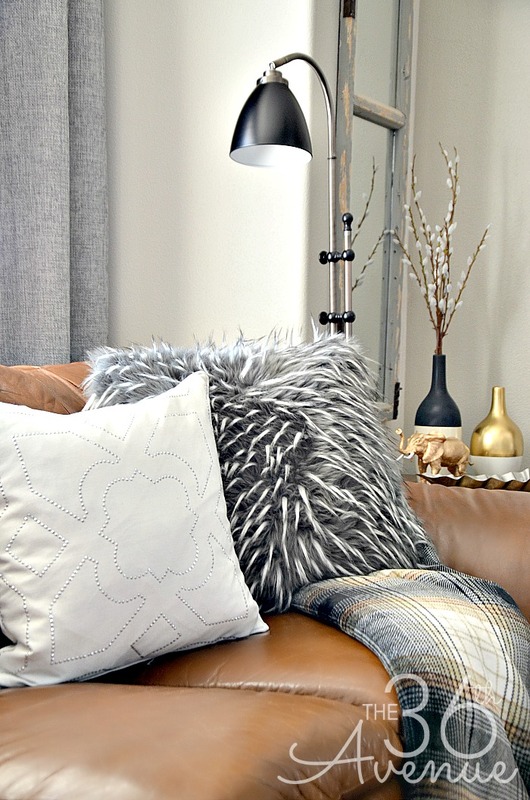 Here are some other Home Decor Ideas that I love!Our Industrial Living RoomTake a tour HERE! Well friends, thank you so much for stopping by today!